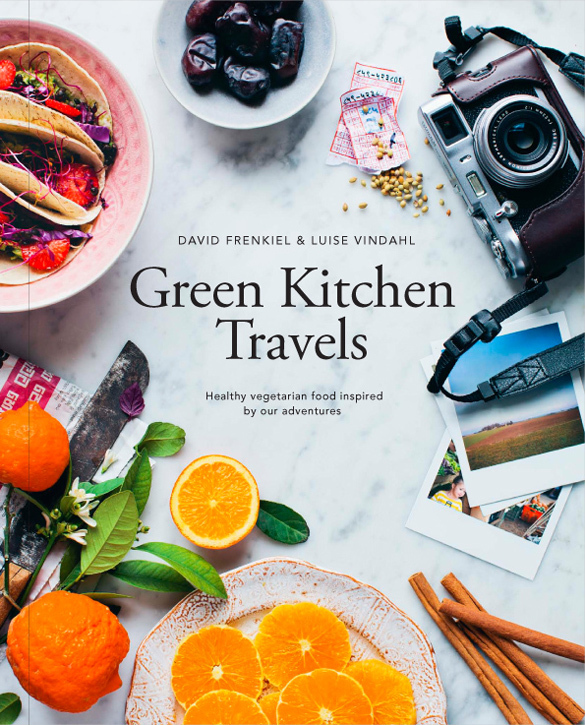 The Book: Like many, I’m a long time fan of Green Kitchen Stories, the wonderfully vibrant blog written by David Frenkiel and Luise Vindahl. 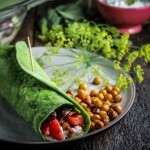 David and Luise are masters of inspired, healthy cooking, making fruits and vegetables shine in new ways with every post. I loved their first book, Vegetarian Everyday, which was released in the states last year (you can see my full write up here), and it quickly became a go-to book for me when I needed something fast and healthy, as evidenced by this baked pistachio falafel, these savory corn muffins and this baked blackberry oatmeal. When they announced that they were writing a second book, this one based on their travels around the world, I immediately knew I had to have a copy. And Green Kitchen Travels, now safely nestled into my cookbook shelf, does not disappoint. This is one well-traveled family: together with their four year old daughter, Elsa, they have been everywhere from Spain to Mexico to Morocco to Thailand, picking up new flavors and inspiration in every corner of the globe. 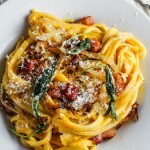 The recipes they’ve included to mark their travels are not meant to be recreations of authentic local dishes, but instead are healthy recipes in the unique GKS style influenced by the flavors, ingredients, and techniques they’ve found around the world. It’s fusion at its finest – adopting whatever works from each cuisine and blending it with an existing style to create something balanced and new. I was particularly taken by the chapter dedicated to soups: Vietnamese pho and Indian dal and Italian ribollita all in the same few pages! Of course, the pictures are stunning, as anyone who reads their blog already knows. The travel theme just gives the couple the green light to add to their colorful collection of food pictures with jawdropping landscapes from around the world, market scenes dripping with color and life, and of course, their adorable daughter in exotic locales worldwide. I do love the feeling that in a way, this book is a love letter to Elsa, as you see and hear her influence on their journeys and cooking style throughout the pages – this book is very much a family affair. The Food: The day I left for my recent trip to Malaysia, I felt like cooking just because. Knowing that I wouldn’t be around to eat whatever I made, I flipped through the pages of Green Kitchen Travels looking for something that I could leave behind for Trevor. 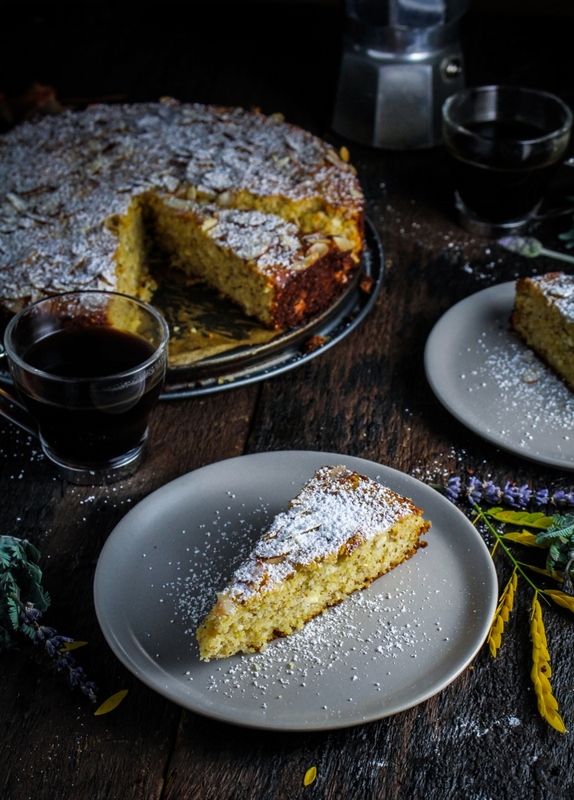 I quickly settled on this light Italian cake, which felt like the perfect accompaniment to an afternoon espresso on a warm fall day. 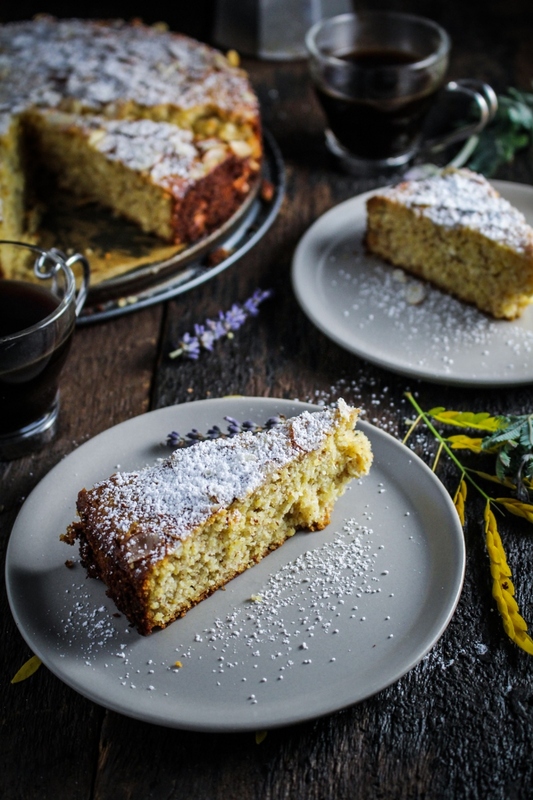 The cake is gluten-free, made from a combination of polenta and almond flour, and uses only honey as a sweetener, so you can cut yourself a big slice without too much guilt. I’ve had hit or miss results with “healthy” cakes, and in particular cakes made with ricotta, but this one was very good. It was moist and not overly crumbly, with a delicate flavor of lemons, almonds, and honey. It’s not very sweet, so while I’m not sure I’d serve it for dessert, it’s the perfect thing for an afternoon break or an indulgent breakfast. Like what you just read? 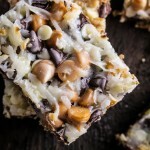 Subscribe to Katie at the Kitchen Door on Feedly or Bloglovin‘, or follow along on Facebook, Twitter, Pinterest, Instagram, or Google+. Thanks for reading! Disclaimer: I received a review copy of Green Kitchen Travels from Hardie Grant, but I was not otherwise compensated and all thought and opinions are my own. 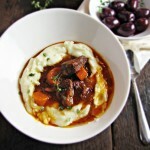 Recipe from Green Kitchen Travels. Serves 8. Preheat the oven to 325°F. Line the base of an 8 inch springform tin with parchment paper and set aside. Place the butter, half of the honey, the lemon zest, and the vanilla extract in a large bowl and beat until creamy, using an electric mixer if you have one. 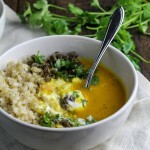 Add the egg yolks and continue to beat until fully incorporated and creamy. Add the almond flour, polenta, and ricotta and fold everything together using a spatula. In a separate bowl, beat the egg whites until soft peaks form. Still beating, drizzle in the remaining honey and continue to beat the egg whites until medium peaks hold and the honey is fully blended in. Gently fold the egg whites into the rest of the batter. Pour the batter into the prepared cake tin and sprinkle the flaked almonds evenly over the top. Bake for 40-50 minutes or until a toothpick inserted in the center comes out clean. Let cool completely before removing from the tin. Dust with powdered sugar before serving if desired. I love green kitchen stories so can’t wait to get my hands on the book – the cake looks gorgeous! Looks amazing! 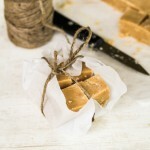 Love the photo compositions and the recipe is delightful. I made the cake exactly according to the recipe, it was such a disappointment. It was so dry tasted like sawdust after using such expensive ingredients. Really disappointed the picture looked so good! I’m so sorry to hear that Annie! 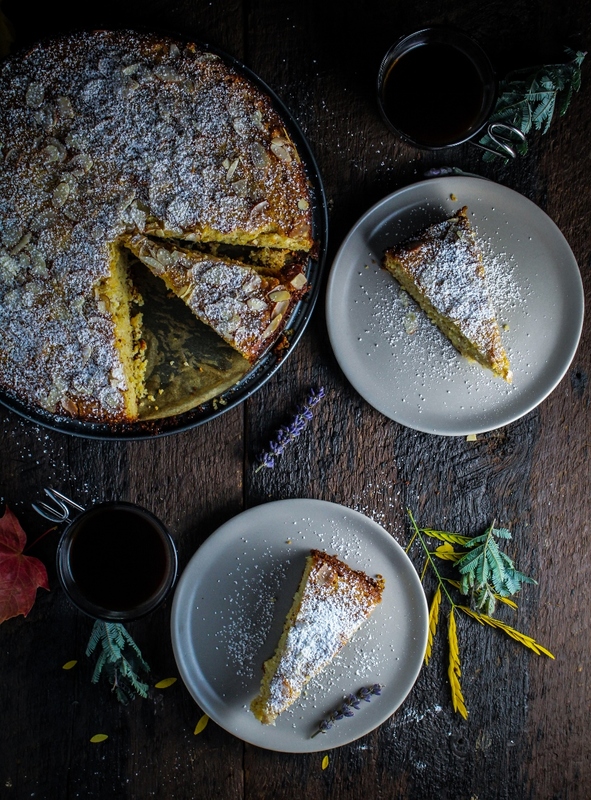 I’ve had hit or miss luck with ricotta-based cakes, but I liked this one. I’m guessing that the fineness/texture of both the polenta and the almond flour have a big effect on the final consistency. Baking can be finicky! Turned out fantastic! Had to substitute cornmeal for polenta. I am a type 1 diabetic and this was a good treat for me. This was fabulous, took a little longer than the specified time in my oven. Not a sweet cake, but delicious! Hi. Trying to make the cake but something doesn’t make sense to me. 1 and 1/4 cups of almond flour is actually more than 5 oz, and then you mentioned that 1c of ricotta or 9 oz. Which one are the correct measurements? Hi Cori – I always use the cup measurements. This recipe was originally published in a cookbook that includes both cup and weight measurements, so I included both here, but if you use the cup measurements, then you should be fine. 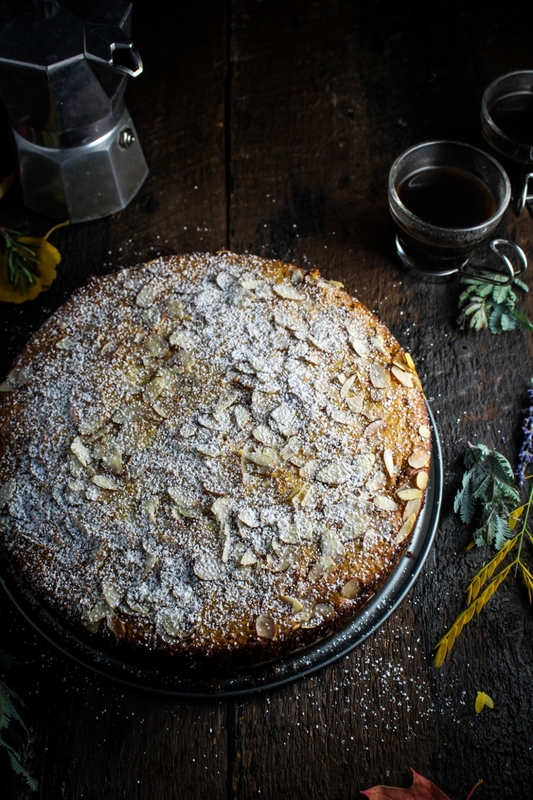 However, all the measurements should be correct – since the ricotta is denser than the almond flour, 1 cup of the ricotta will weigh more than 1 cup of almond flour (apologies if that was already obvious to you, I didn’t totally understand your question!). Let me know how the cake turns out!